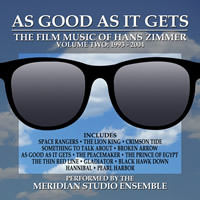 Buysoundtrax.com presents AS GOOD AS IT GETS: THE FILM MUSIC OF HANS ZIMMER Volume Two (1993-2004), a brand new compilation of music from celebrated composer Hans Zimmer. 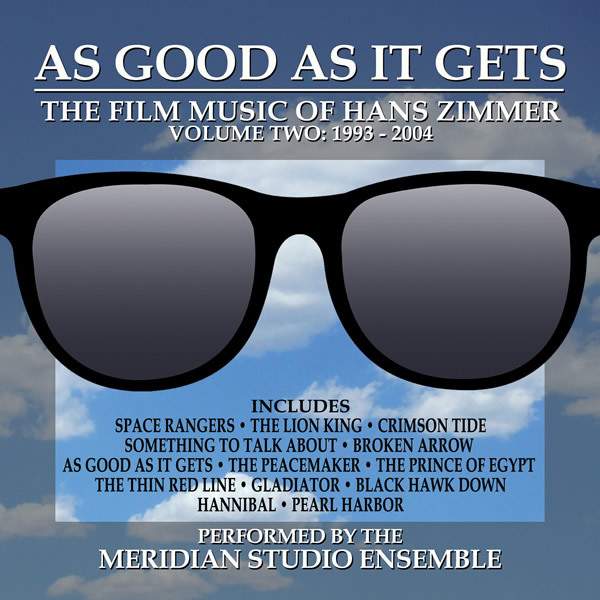 Faithfully produced and arranged by Dominik Hauser, performed by the Meridian Studio Ensemble, AS GOOD AS IT GETS features selections taken from the composer's filmography produced during 1993 through 2004, including music from THE LION KING, CRIMSON TIDE, BROKEN ARROW, THE PEACEMAKER, PRINCE OF EGYPT, THE THIN RED LINE, GLADIATOR, BLACK HAWK DOWN, HANNIBAL and More. Originally from Switzerland, Dominik Hauser received his education at the Jazz School St. Gallen in Switzerland, earning a masters degree in music. In 1996 Hauser relocated to Los Angeles, to attend UCLA where he delved deeply into film scoring. Subsequently he took his skills to the realm of indie cinema and began composing for film. Hauser’s work involves him in a variety of projects, including cinema, theater and video games. Recently Hauser completed arranging and orchestration on the restoration of the first Best Picture Academy Award® winner WINGS for the 2012 Paramount Picture centennial celebration. His work for the record label BSX includes THE BOUNTY, SCROOGE, dramatic underscore for an audio presentation of Robert Louis Stevenson's THE STRANGE CASE OF DR. JEKYLL AND MR. HYDE, and compilations for GAME OF THRONES and DOCTOR WHO. Hauser recently published his fourth book, Soloing for Bass.